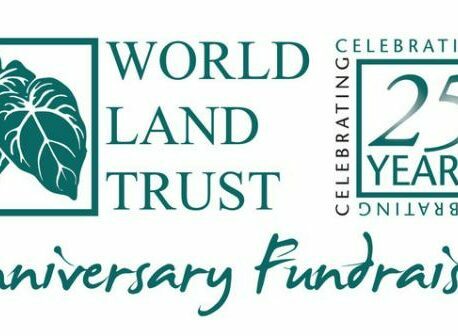 At the half way point of World Land Trust’s (WLT) 25th Anniversary year, seven of our Anniversary Fundraisers have each raised more than £1,000 for the Trust and many other supporters have also raised valuable funds. Supporters who raise funds for WLT between May 2014 and May 2015 are our special Anniversary Fundraisers and those that raise more than £1,000 receive a Certificate signed by WLT Patron Sir David Attenborough. Six of the magnificent seven took on a physical challenge. Liam Bancroft climbed Mount Kilimanjaro; Steve Garidis ran the original Greek Marathon in memory of his brother Chris along with two of Chris’s best friends, Alex and George; Steven Ware did an incredible 1,000 pushups in two hours; and Winston Wolfrider has been journeying across the United States using whatever mode of transport that was available, on a budget of US$6 per day. The seventh Anniversary Fundraiser to raise £1,000 is a couple. Henry and Susie Mance raised funds for WLT by generously asking for donations instead of wedding presents. Several of our Anniversary Fundraisers are preparing themselves for a landmark event. Palak Bhatt is in training for a climb to the peak of Mount Kilimanjaro in February 2015, and hopes to raise £1,000. She said about her choice of charity to support: “It seems appropriate that in climbing a natural beauty of the world, I should support something that helps sustain natural beauty. The work of World Land Trust is very close to my heart: protecting our planet.” You can support Palak’s fundraising effort by making a donation on her fundraising page. WLT was delighted to be awarded one charity place for the Virgin London Marathon for the first time in its 25th Anniversary year. Hedd Thomas was selected by ballot and he is now getting fit and ready to represent the Trust at the London Marathon in April 2015. You can help Hedd reach his £1,500 target by making a donation on his fundraising page. And, finally, our most recent new supporter, Mali Tiger, is going to shave her head on 18 December 2014 in protest at the destruction of forests worldwide and to raise funds for WLT. She writes: “The Earth is being exploited, violated, killed off, we need to protect this beautiful place we live in. 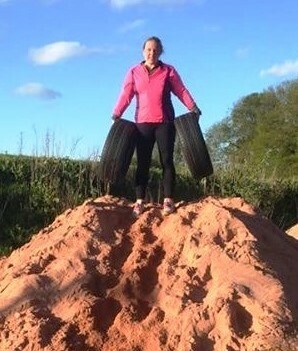 Please, show that you care and give some money to make a direct change.” You can help her raise £500 by making a donation on her fundraising page. We’d also like to thank several other supporters who have raised funds for WLT in our 25th Anniversary year. Andy Flavell and his wife are keen cyclists. On 14 September they completed the Dundee Cyclathon, a 26 mile event that runs around the perimeter of the city on mixed tracks and road. Two weeks later they cycled 52 miles in the Oban Sportive. Andy is a regular donor to World Land Trust and made his first donation 20 years ago in support of the Trust’s founding project Programme for Belize. So far, they have raised £300 of their £500 target. You can support the couple by making a donation on their fundraising page. Darren Townsend-Handscomb is another Anniversary Fundraiser. He raised £333 in memory of his mother Lydia Handscomb, who died on 24 August. Thanks also go to Ben Keizner, John Paul Houston, Connor Blackburn and Matthew Cullen, and to our youngest Anniversary Fundraisers, five year old Dillon Burgess, and six year old Holly Dennett and Benjamin Chorley. 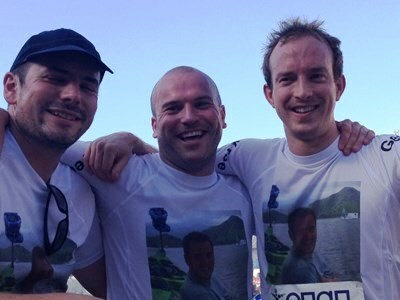 Follow their links to find out more about what they achieved and how much they have raised. If you have read this far and feel inspired to raise funds for World Land Trust, we would love to hear from you. Please email Julia Warnes or Karen Lowe in WLT’s Donations Team (jwarnes@worldlandtrust.org and klowe@worldlandtrust.org) call (01986) 874422. WLT’s resources for fundraisers can be found here.